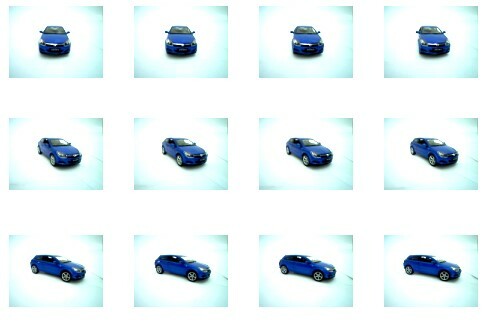 Detection and pose estimation of scarcely textured objects such as cars are a difficult tasks and therefore a current object of research in computer vision. The aim of this project is to detect the pose (position and orientation) of a car in a photograph and to augment the photograph with a perspectively correct 3D model of the same type of car. The approach will also include detection and visualization of discrepancies (i.e. 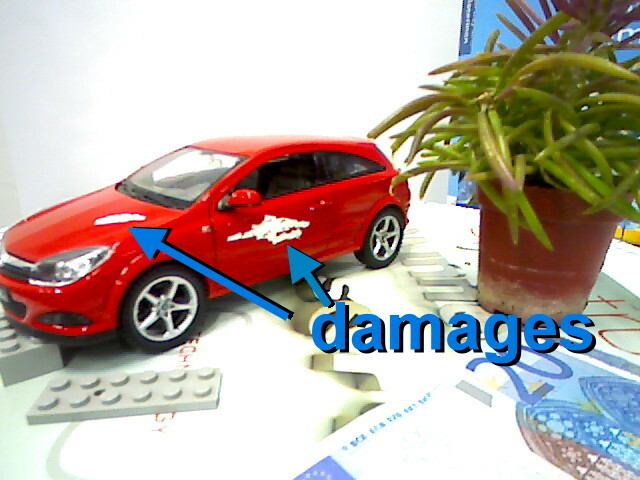 damages) between the photographed car and its 3D model. Different orientations of the object to be recognized are taught to the system (either from a 3D model, or a video, or a series of images). Images of the damaged car are taken on site. 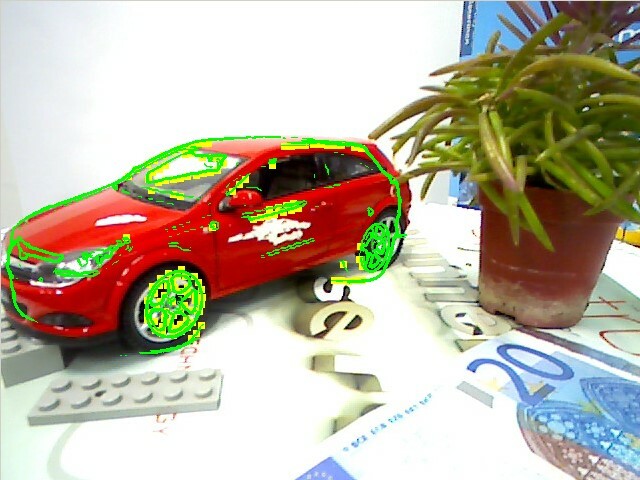 The car is detected in the image by the software and its pose is estimated. 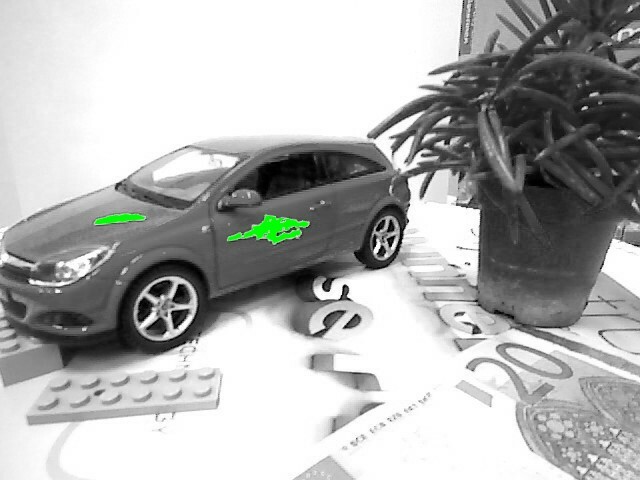 In the image on the right the car's picture has been augmented with an edge image (green) generated during the learning phase; the augmentation represents the best match of all learned poses. Discrepancies between the photograph and the learned model are detected and visualized.